Ability Text: Gain control of target creature until end of turn. Untap that creature. It gains haste until end of turn. 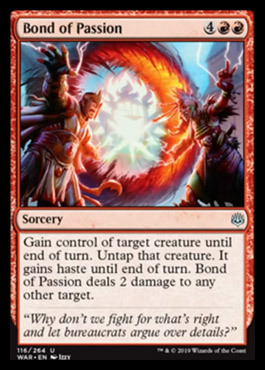 Bond of Passion deals 2 damage to any other target.